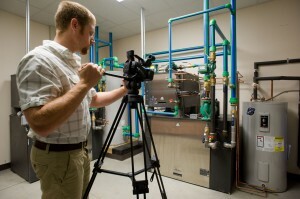 Common Ground is also a source of jobsite videography. We made the push into this discipline to enhance our offering to clients, chiefly driven by the need for short videos for YouTube pieces as sales support tools — videos that really come to life in the social media realm. We’ve now developed a wide variety of videos and add to the collection regularly. 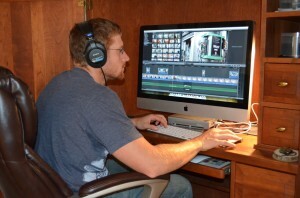 Dan Vastyan executing production of video with FinalCut Pro software. Our investment in portable, high-definition video gear is substantial, knowing that — because you would want no compromise — neither would we. Back at the office, only the best MAC hardware and software would do. We use FinalCut Pro software to execute productions.